Sequim is a small, friendly city (Population approximately 7000) located on the gorgeous Olympic Peninsula in the northwest corner of Washington State. 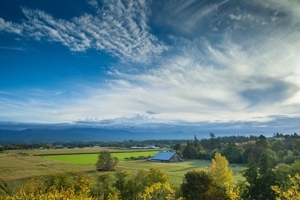 Often referred to as "Sunny Sequim," the city sits in the rain shadow of the Olympic Mountains and receives approximately 16" of annual rainfall, making it one of the driest places in Western Washington. The area is a haven for outdoor enthusiasts. Hiking, biking, water sports, skiing, birding, golfing and fishing are all popular activities. Sequim has deep roots as an agricultural community and celebrates the Annual Irrigation Festival, the longest running festival in the state of Washington, each May. The area is well-known for it's colorful and fragrant lavender farms, and celebrates Sequim Lavender Weekend the third weekend of each July. Organic fruit, vegetable, and berry farms are found throughout the Sequim-Dungeness Valley. Farm to table restaurants, local wines, and fresh roasted coffee offer lively culinary choices. The charming downtown is full of family owned boutiques and the west end of town offers a regional shopping area filling the needs of local residents and visitors. The City is within an hour of the Olympic National Park and Olympic National Forest and minutes away from the Dungeness Spit, which stretches 5.5 miles into the Strait of Juan de Fuca. The City sits in the Sequim-Dungeness Valley with the Olympic Mountains to the south, the Strait of Juan de Fuca to the north, Sequim Bay to the east, and the Pacific Ocean an hour away to the west. The dry weather and beautiful natural surroundings offer up just about every outdoor recreation opportunity. The Olympic Discovery Trail run through Sequim and is an ideal path for walking and biking. Sequim has a live theatre and an active arts community. There are a wide variety of culinary choices from authentic Mexican, Thai, and Chinese to farm to table restaurants featuring local produce, meats, and seafood. 10 miles outside of the city, the 7 Cedars Casino offers gaming and a variety of nightlife opportunities. The city celebrates the Irrigation Festival each May, the Sequim Lavender Weekend in July, summer concerts at the band shell, a monthly art walk, and a host of events throughout the year. Sequim has an active arts community and hosts the First Friday Art Walk each month. The Olympic Theatre Arts offers live performances throughout the year. The Museum and Arts Center has a mix of historical and cultural exhibits. The popular Music in the Park summer concert series offers a wide range of music in a beautiful setting at the local band shell. The major hospital is located in Port Angeles 15 miles to the west, but Sequim has a large medical facility including state of the art imaging and a highly regarded cancer center. Jan 29.2 F° 37.1 F° 45.1 F° 1.9 "
Feb 31.0 F° 39.5 F° 48.1 F° 1.5 "
Mar 32.7 F° 42.1 F° 51.6 F° 1.2 "
Apr 36.1 F° 46.0 F° 55.8 F° 1.0 "
May 41.9 F° 51.6 F° 61.3 F° 1.2 "
Jun 46.4 F° 55.6 F° 64.8 F° 1.0 "
Jul 49.2 F° 59.2 F° 69.2 F° 0.7 "
Aug 49.2 F° 59.4 F° 69.5 F° 0.7 "
Sep 43.8 F° 54.6 F° 65.4 F° 0.8 "
Oct 37.5 F° 47.6 F° 57.8 F° 1.3 "
Nov 33.2 F° 41.8 F° 50.4 F° 2.6 "
Dec 30.3 F° 37.9 F° 45.5 F° 2.3 "
Sequim sits in the rain shadow of the Olympic Mountains and has an annual rainfall of approximately 16". It is one of the driest places in Western Washington. Although temperatures are moderate throughout the year, there are four distinct seasons. Winter often brings a day or two of light snow, but while it usually doesn't last long on the ground, it can be seen accumulating in the Olympic Mountains to the south. With spring comes a bright array of colors with emerging hay fields, blossoming fruit trees, and abundant flowers resulting from the light rain and sunshine. Summer is lavender season and in addition to the farms in the valley, many homes and street scapes feature the bright purple herb which loves sun and is drought tolerant. Hay fields turn golden and can be seen as they are harvested throughout the valley. Autumn brings the changing of the leaves and crisp, clear, cool days. Condos Over 50 Communities Sequim's weather and peaceful surroundings have made it a popular location for retirees. The city and surrounding valley offer a wide range of housing options from single family homes, apartments, and condominiums. 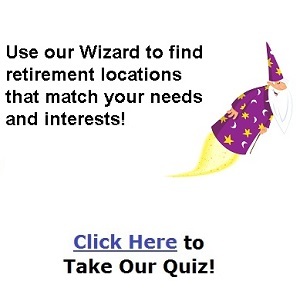 There are quality senior neighborhoods and facilities.